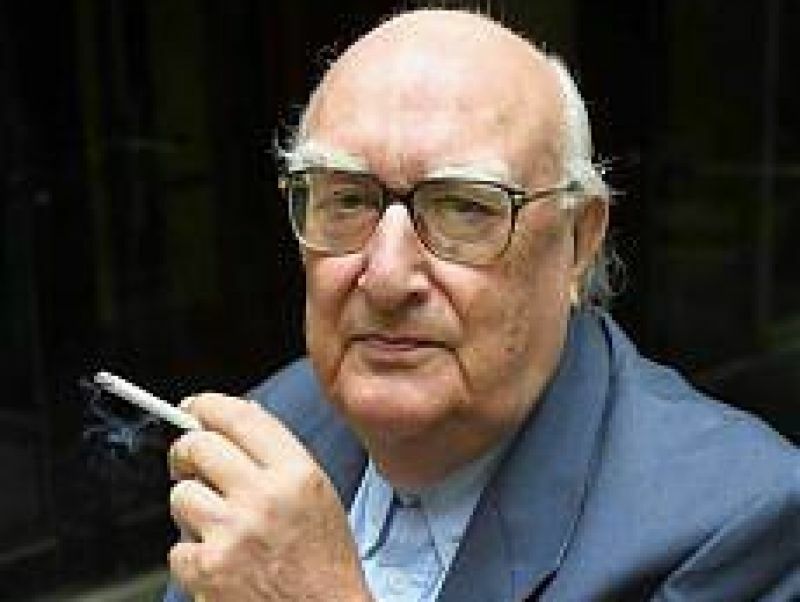 Andrea Camilleri, interviewed by Professor Tullio De Mauro, has recently explained the reason why he chose Sicilian dialect to write the majority of his novels and his well-known series centred on his most famous creature: Il Commissario Montalbano. In his early years he had started writing poems ( the Italian poet Salvatore Quasimodo had offered to include them in a Sicilian anthology of poems) and short stories. Short, in fact, whenever he tried to write in Italian, it seemed as if he “ran out of breath”, he said, and couldn’t carry the narration any further. When his father, with whom he had always had a conflicting relationship, was diagnosed of an incurable disease, he decided to spend his last days with him. It was the last occasion to talk, to make things clear, to understand each other, if possible. In one of these daily visits, Camilleri explained to his father, that he had in mind a subject for a novel, but when it came the time to put words on paper, he just couldn’t make any progress. His father wanted to listen to his story and in the end he suggested: “Write it down, just the way you have told it to me“. 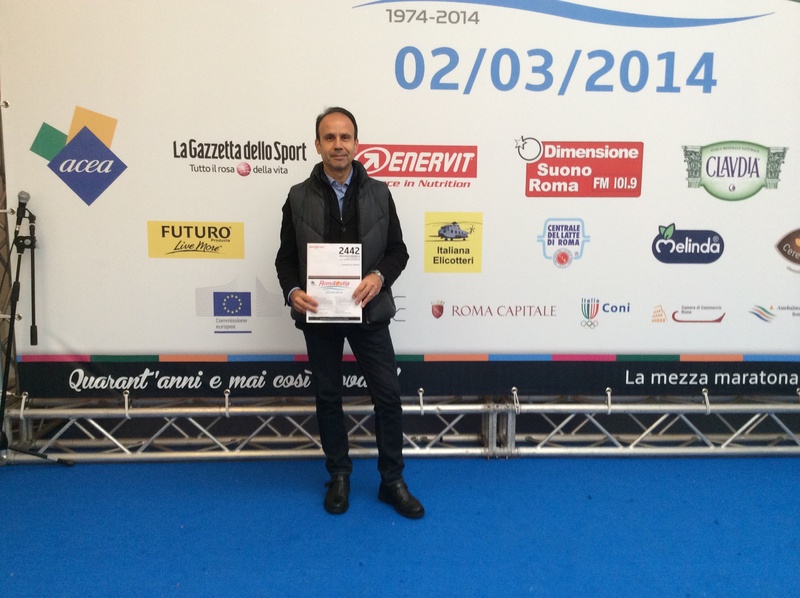 In Sicilian. Certainly it couldn’t be used the pure dialect, as Camilleri, just like any other writer, wanted to be read and understood. Therefore he started to make meticulous linguistic experiments, analyzing the language that was spoken at home, for example, and after many attempts he eventually reached the perfect balance between Italian and Sicilian, that successful blend that makes Camilleri’s style of writing so appealing. Camilleri had been at his father’s bedside for a month and a half. One day the old man seemed for a while as reawaken from his state of torpor and said to his son lucidly:”Go, go to smoke a cigarette!”( Camilleri is still a heavy smoker with a raucous distinctive voice). He did what he had been said and when he came back, his father had passed away. 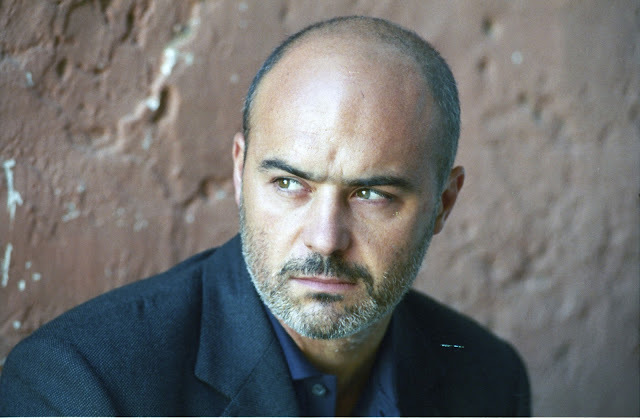 Montalbano‘s character is largely inspired by the figure of his father. The inspector is a shrewd intelligent man, not inclined to compromise, with a high moral standard and human understanding. He is also the hedonist who enjoys the pleasures of food (religiously in silence), long walks and swims, good reads, better if in solitude. 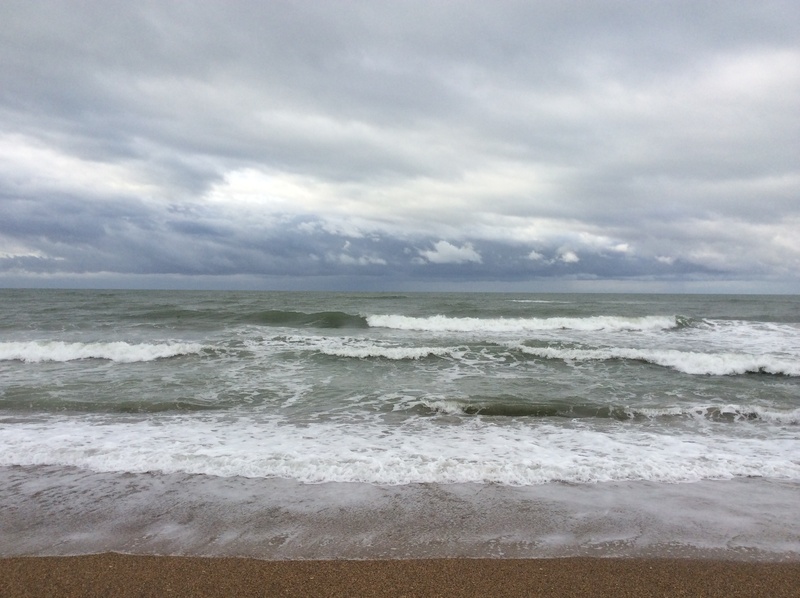 In these moments the narration seems to slow down, as if to allow the reader to take part in Montalbano’s sensations and savour with him that moment of bliss and peace. These are the best moments, when he finds the right inspiration to solve the cases. Hence the slow time of hedonism and reflection gives way to the much faster time of action, when the inspector can display his natural instinct and cunning. Being a person who enjoys solitude, Montalbano can’t be a family man, for sure. He is eternally engaged with Lidia, who lives in Boccadasse, in Liguria, therefore far enough not to be involved in the dynamics of a couple, which he would certainly consider tedious, but he cannot escape the evening ” sciarratine” (fights) on the phone. Even if Montalbano remains mostly faithful to Livia, apart from the last episodes, her greatest antagonist is Adelina, Montalbano’s housemaid. Adelina looks after him and cooks beautifully (while Lidia cannot cook even an egg). Whenever Lidia comes, she disappears. They hate each other heartily, but they are complementary in Montalbano’s world: the housemaid and the lover, thus avoiding all the complications of committment. Every man’s dream. Camilleri ‘s great descriptive craft, and character building can be enjoyed in every page of his novels. The inhabitants of Vigata are a gallery of humankind, with their miseries, secrets, vices and that conspiracy of silence that Montalbano always tries to crack. The microcosm of the police station of Vigata is peopled by his colleagues, who, at least some of them, are also his closest friends. His vice inspector, Mimì Augiello is exactly his reverse. He is a “fimminaro” (womanizer), who eventually marries and names his child after him: Salvo. He is not endowed with a great instinct, which Montalbano actually sees in Fazio. Even if he is annoyed by Fazio’s pedantry, he trusts and admires him. Catarella is the clumsy simpleton with a tender heart. He maims every name, generating funny misunderstandings and even if he seems to be a little dimwit, he is a champion at Computer Science. I guess there is a subtle message here. 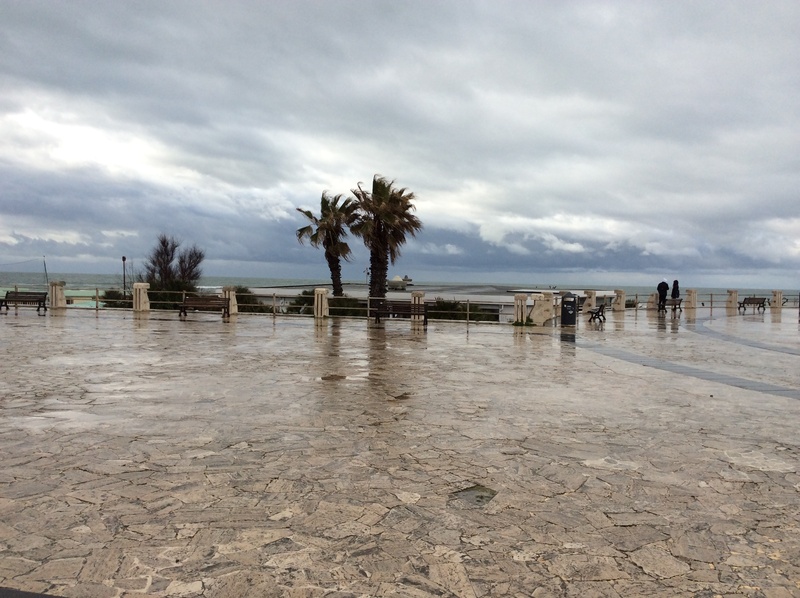 Montalbano’s co-star is undoubtely Sicily . Camilleri succeeds in making the reader live and enjoy all the colours and flavours of an enchanting country, which is too often in the limelight only for the criminal organizations which still control it. Food, art, culture, sea, warm weather and welcoming people are the treasures that can be found in that fortunate land; a land that Montalbano loves deeply and fights for. 1. 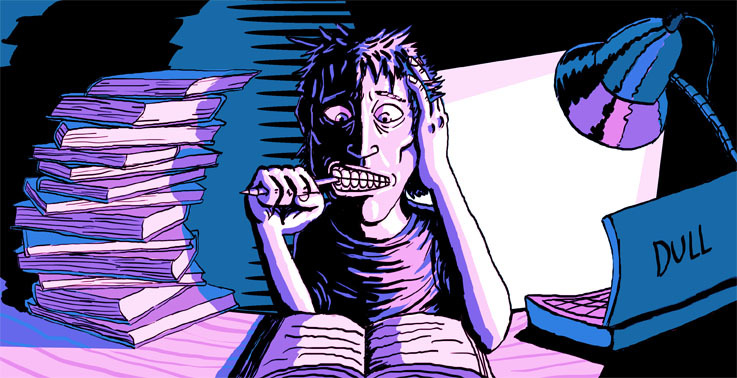 Homework and tests were their primary sources of stress. Furthermore it was also noticed that many students complained about homework that (they) considered “pointless” or “mindless“. I was glad to see that the debate on the role of modern education is exactly the same in every part of the world. Nowadays school effort seems to deprive students of their life. But what life? Aren’t schools supposed to form students for their life as adults? But, let’s go step by step. First of all I have to say that even if I am not the kind of teacher who is used to giving loads of homework and firmly believes that holidays are made to relax and have fun so that anybody has time “to get a life“, I don’t think that an effort of 3.1 hours each evening could be considered a cause of “stress“, unless there are other priorities in the life of that student. 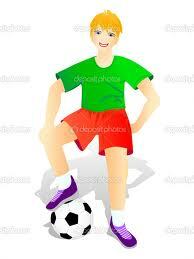 Here in Italy, an average student of, let’s say, seventeen years old, belonging to the same social class of that survey, practices a sport at least tree or four times a week – which is good, I am a sportswoman myself -, then there are the matches or competitions on week-ends ( you can easily guess that 80% of the boys here play soccer and intensely wishes for a future as footballers), goes to the gym, studies to get the driving license, spends a lot of time facebooking, wazzupping, playing with video games, hanging out………..well, certainly the effort to find some time to study could be actually seen as a cause of some stress, I guess. It’s not surprising at all that after a day like this, you feel exhausted, you have headaches and 3.1 hours to dedicate to a different activity may seem a nightmare. For what concerns the complaint about the fact that homework is often “pointless” or “mindless” I could agree on this point, as teachers should do their best to give motivation, finding challenging and interesting activities, but then I cannot help but wonder: how often do I have to do things that I consider “pointless” and “mindless” at work? Even if I adore my job, there are activities that bore me to death and I would happily abstain from. Are we given the chance to do only what we like in the world of adulthood? 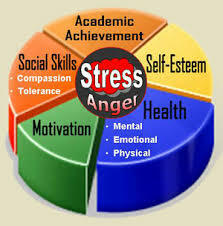 Shouldn’t we prepare our students to cope with, stress, frustration and even boredom, as well? If you want to reach your target, you need time, effort, sacrifice. I don’t know anyone who has escaped this simple life formula; footballers either. 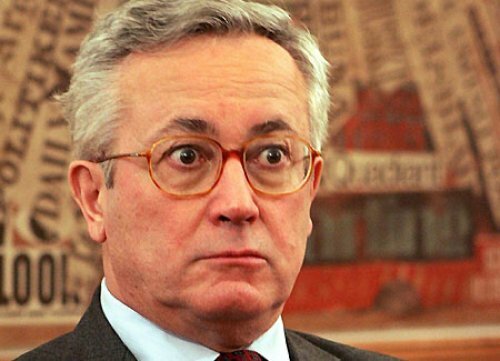 I still can’t forget one particular answer that former Minister of The Economy Giulio Tremonti, only a few years ago, gave the journalists who wanted some elucidations about the cuts in the state budget, which, as usual, concerned education, school, culture. 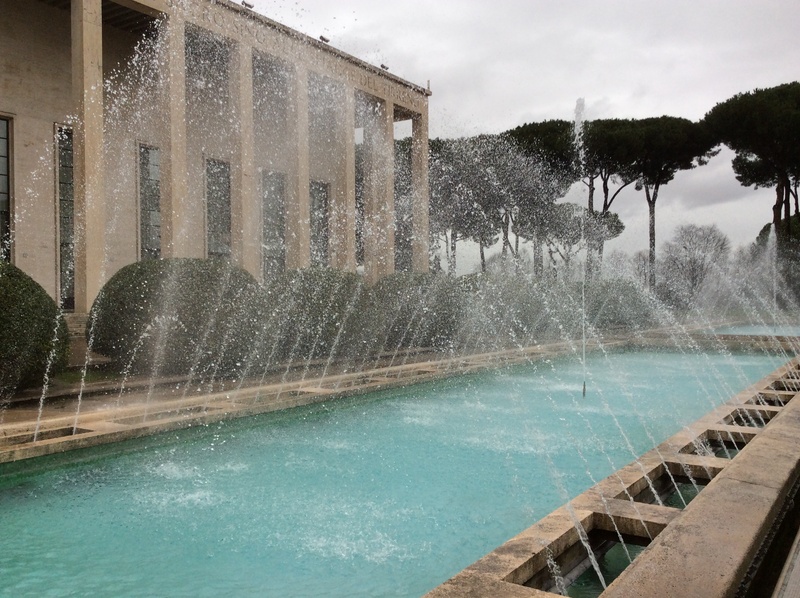 In a country with such artistic heritage, everybody would expect the Government to raise funds, for example, to help prevent the inexorable degradation of the many archaeological sites scattered around the country just like Pompei, rather than decrease the number of the archaeologists or those who work in those sites. The Minister gave the journalists a stern, cold look and with his arrogant French “r” said: “Culture has never fed anybody“; and he went away, leaving the audience speechless. Could he be blamable? After all even Benjamin Franklin in his essay titled “Advice to a Young Tradesman“(1748) had said : “Remember that time is money“. He actually didn’t mention the word culture anywhere. That’s why, when nineteenth century artists understood that materialism had definitively contaminated with its values the contemporary society, they couldn’t but choose to re-define their role and tasks. What was the point of keeping on with the effort of educating to sensibility an ignorant, indifferent, arrogant audience? What for? Hence they decided to turn their backs to their public and cease any attempt of didactic or moralizing effort. They openly rejected the vulgarity of the contemporary world and refused to conform, finding a safe shelter in that exclusive place where taste and beauty ruled and Théophile Gautier‘s “Art for art’s sake” became their motto. 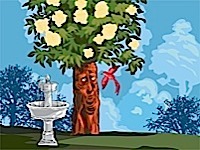 The story of “The Nightingale and the Rose” iby Oscar Wilde is the proof that their choice was sound. That nightingale should have followed their example and fly away to reach that shelter, rather than feeling compassion for the tears of a Student and stop to give her help. The Student seems desperate, because he is in love with girl who would accept to dance with him, only if he brough her red roses; but unfortunately it’s winter and there is no chance to have roses of any colour at that time of the year. 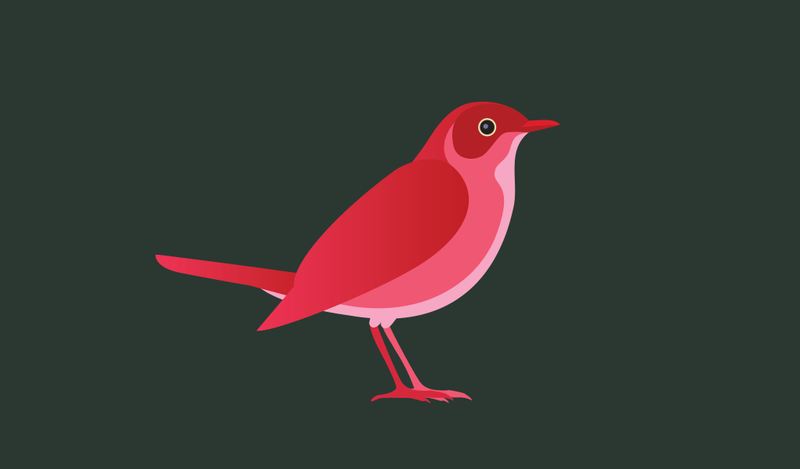 At this point the nightingale makes the greatest error of her life. She mistakes him for a “true lover” and therefore worthy of her help. She flies from bush to bush and when eventually she finds the one which might give red roses, she is told that winter has chilled its veins and it would have no roses at all that year. But there is still a way. The nightingale can make the rose out of her music singing all night long, but her blood will make the rose red, the blood that will flow away piercing her heart with a thorn of the bush.The nightingale/artist decides to sacrifice her life for the happiness of the boy. It is amazing to see how the Student, who actually stands as symbol of the insensitive, materialistic society, is from the beginning to the end of the story totally unaware : “The Student looked up from the grass, and listened, but he could not understand what the Nightingale was saying to him, for he only knew the things that are written down in books”. The nightingale/artist doesn’t speak a language intelligible to man. Even when the Student opens the window and finds the beautiful rose, he thinks it is only “a wonderful piece of luck” and prefers to ponder if that rose could have a Latin name, rather than reflecting on why that rose was there. 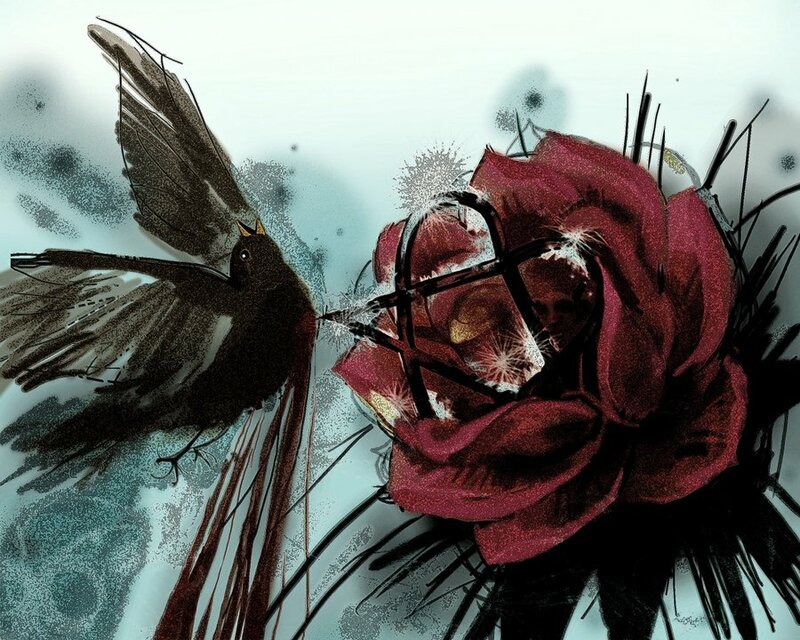 That rose had cost the life of the nightingale/artist. It was her masterpiece. It had a supreme value, the value of art. Will it be understood? When the boy meets the girl she refuses to accept the rose as “the Chamberlain’s nephew has sent me some real jewels, and everybody knows that jewels cost far more than flowers” (she must have been Marilyn Monroe’s forerunner, after all diamonds are girl’s best friends). The rose didn’t serve the boy’s cause, but it is beautiful so beautiful that it must have a Latin name, will the Student keep it with him? The fate of the rose is shocking: the Student “ threw the rose into the street, where it fell into the gutter, and a cart-wheel went over it”. So, what is the function of art? 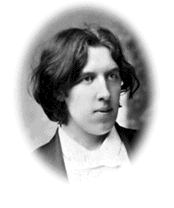 “All art is quite useless“, Wilde would answer. Well, isn’t it exactly what Tremonti had said? These pictures don’t need to be commented any further. Talent, sensibily beautifully combine here. Enjoy. 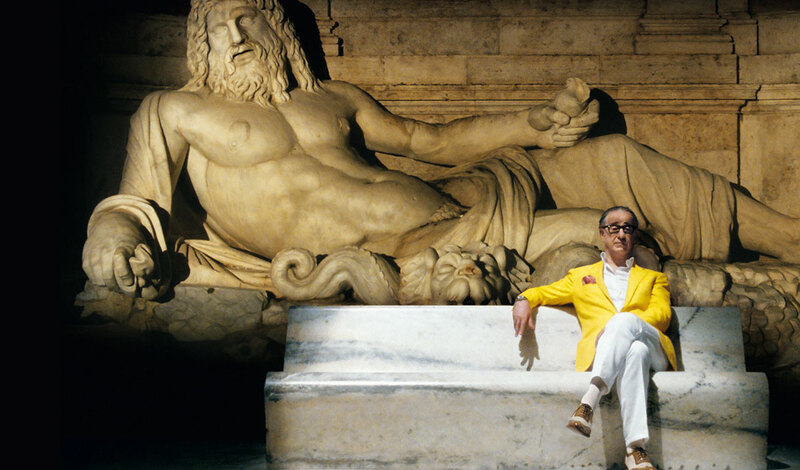 Here we are,15 years after Benigni’s “Beautiful Life“, another Italian movie, ” The Great Beauty” won the Oscar for the best foreign language film. It was a very much expected award, at least outside these borders, as the movie is the rare product of the combination of an extremely talented director Paolo Sorrentino, a masterly interpretation of Tony Servillo as Jep Gambardella and the most amazing actress ever: Rome. Rome has a double symbology here: it’s the breathtaking “great beauty” with its architecture, churches, fountains, cloisters, squares that Sorrentino skillfully uses as a never-ending sequence of postcards to enthrall the spectators; but Rome is also the capital, the centre of power and the Vatican, the higher expression of moral degradation and spiritual decay, which attracts and deceives the vast multitudes of gross people who come here with the hope to find that something that may give sense to their hollowness. Beauty and vulgarity, dream and bitter realism overlap, and Rome is there, indifferent and beautiful. This double symbology is soon introduced by Sorrentino. In fact the movie opens on a group of Japanese holidaymakers who are listening to their guide’s explanations. One of them leaves his friends to admire in silence the stunning view of the town and he is so overwhelmed by its beauty to die. Soon after Sorrentino takes us to the crowded, opulent party which celebrates Jep Gambardella‘s 65th birthday, the central character of the movie . Like the Great Gatsby he makes his appearance after several minutes of frantic dances with the hypnotizing soundtrack of the famous Italian icon Raffaella Carrà. Jep had arrived in Rome in his late twenties and he had been soon absorbed by the jet-set party life. Jep is a journalist and writer of only one novel, which had become a best seller. Even if in some aspects he seems to evoke the character of Marcello Mastroianni in “la Dolce Vita“, his approach to life is more disenchanted and detached. He is the impassive spectator of the vacuous depressive humanity who surrounds him and finds in amusement, the only way to forget the failures and the senselessness of their lives. In my opinion Sorrentino is largely indebted toTony Servillo, who took part in almost all of his movies and is a sort of “fetish actor” for him. Charismatic and touching at the same time, Servillo ranges from a sarcastic to an introspective tone with his snobbish Neapolitan accent, with the result that you cannot but hang on every word he says as if hypnotized. The cast is particularly rich, as many famous Italian actors wanted to be part of the movie even only for a “cameo”, a short appearance. However two of them, Sabrina Ferilli e Carlo Verdone, who are very popular here,seem to have been quite disappointed when they knew that hadn’t been invited to the Oscar night. I can understand them. 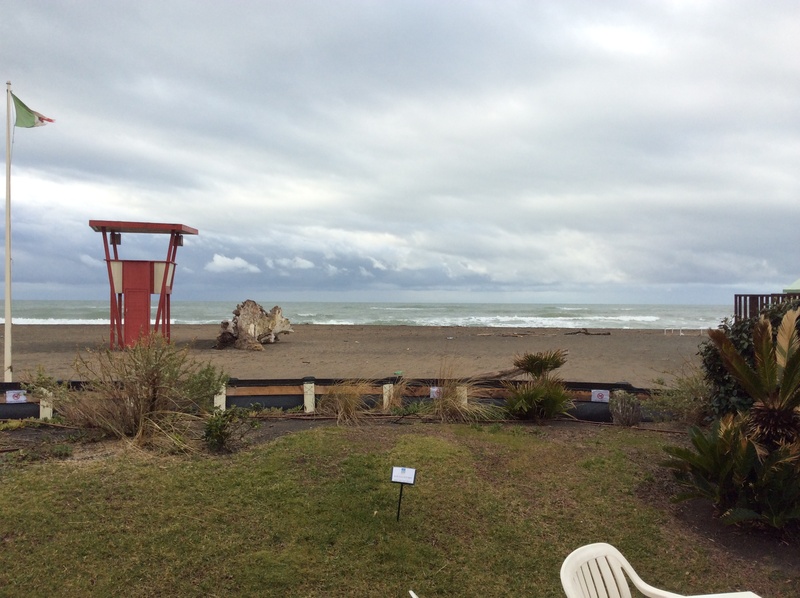 I have to say that “The Great Beauty” has been more appreciated by the critics abroad than here. The dreamlike narrative tone, the nonsensical characters and the homage to the Eternal City have seemed nothing but a revival of Fellini’s “La Dolce Vita“, “Roma“, “Otto e Mezzo” and many others. Even after the victory, criticism hasn’t stopped. Ah, envy! 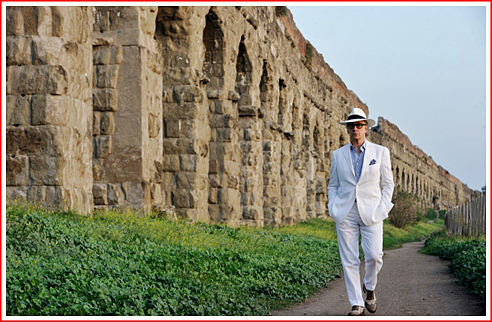 If you want to see of the locations of the Great Beauty click on the link. 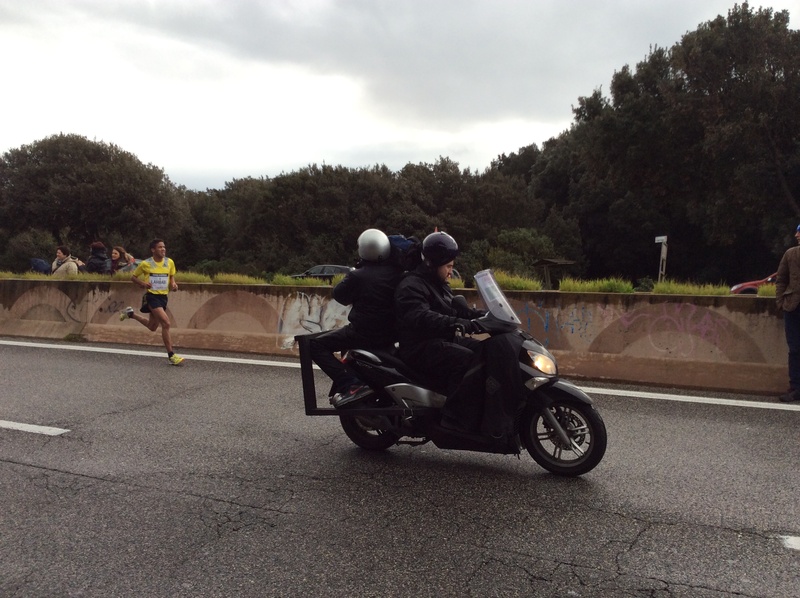 Roma – Ostia is the most famous half marathon in Italy and one of the most prestigious in the world. 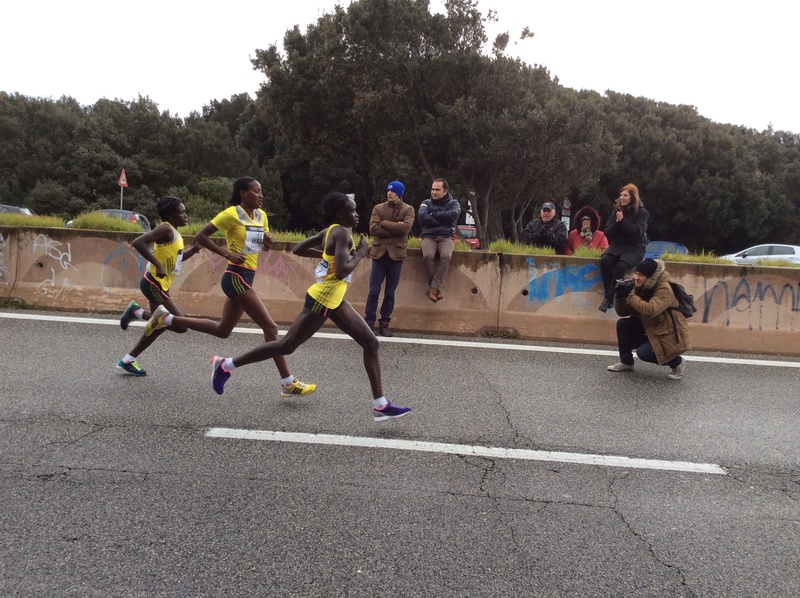 The peculiarity of this competition is its route: the athletes have to run from the capital along the Cristoforo Colombo – a scenic road fringed by thousands pines -, cross the beautiful pinewood of Castelfusano, to reach the sea and the beaches of Ostia . Whoever has read my other posts about running can well understand that this race is for my husband Mr Run particularly meaningful, as it symbolizes his metamorphosis. 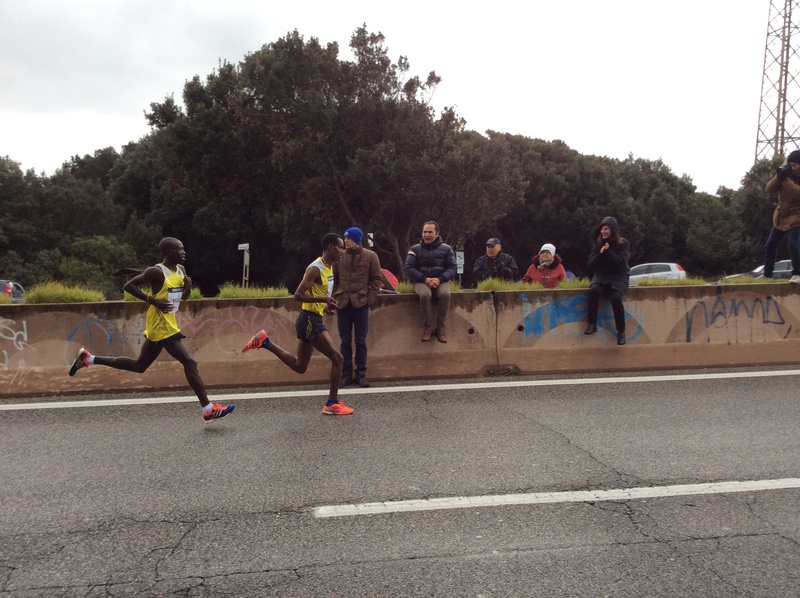 Despite the unfavourable weather conditions, more than 13.500 people woke up early this morning, put on their training shoes and hop, hop, hop, gathered at Palalottomatica. 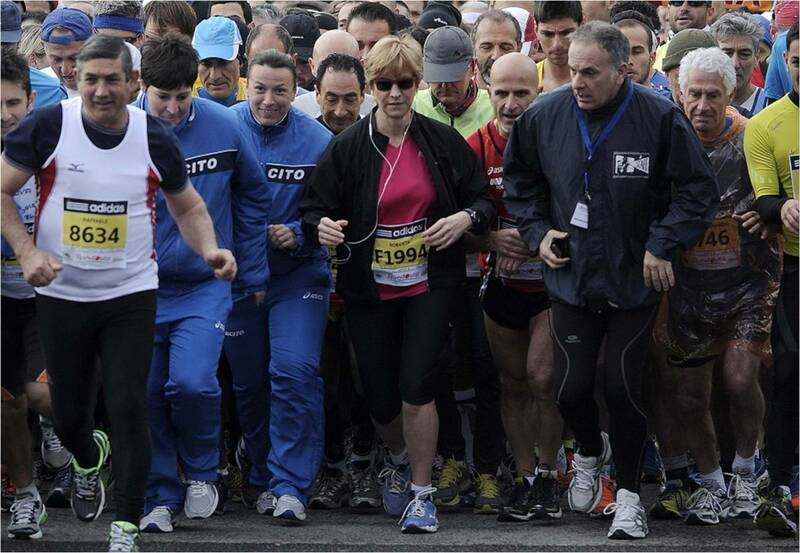 Among them there were many members of the newly settled Italian government (there is a Montecitorio running club actually), as for example the Minister of Defence Roberta Pinotti, who ended the run in a little more than two hours, and many others. Our new young prime Minister Matteo Renzi is a great fun of running himself, and just recently during the discussions at the Chambers for the vote of confidence, was caught reading The Art of Running by Haruki Murakami to find a little relief from the tedious speeches of the old Mps (subtle irony). 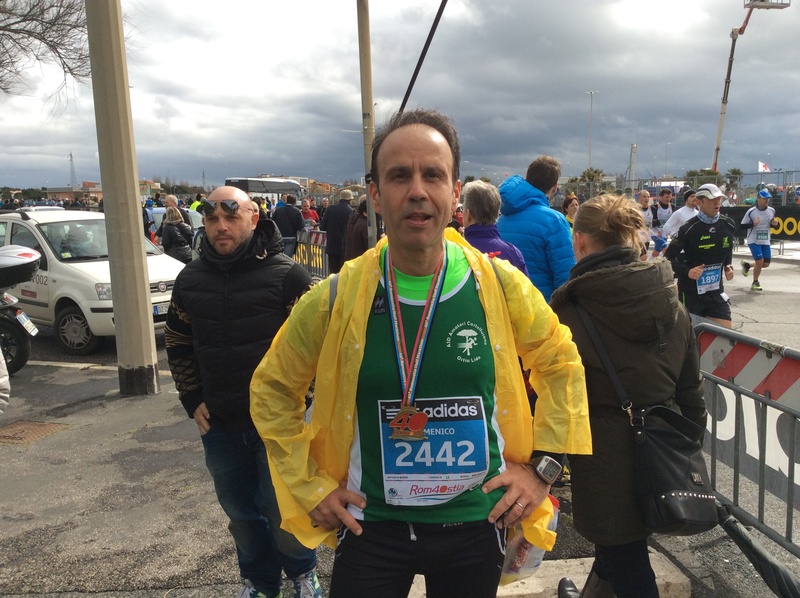 However, my husband had trained for months and months really hard with the goal of breaking his previous record of 1:35:40 and as it always happens before an important meet, had started to produce some excuses to justify a hypothetical failure, which I know he wouldn’t have accepted easily: viruses, muscle ache, hard work…….and many others that I can’t remember (I don’t always listen carefully to what he says). 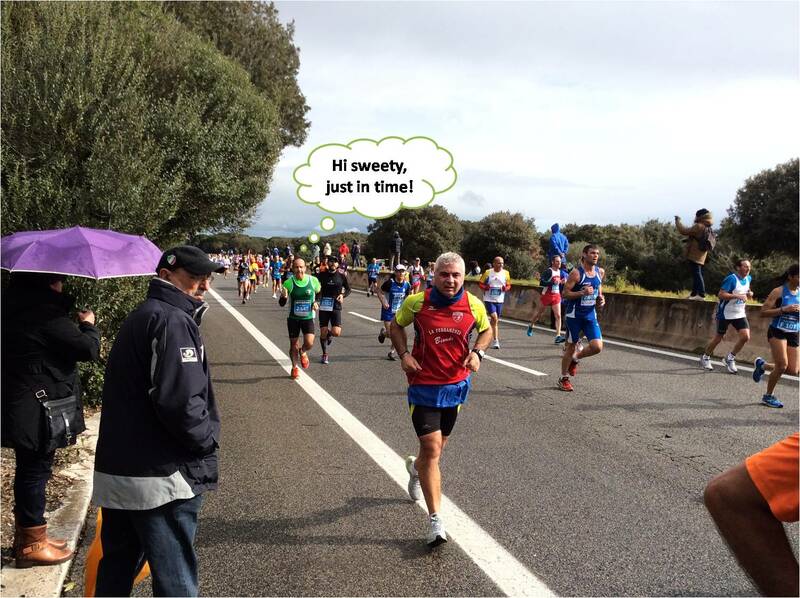 Therefore I decided to made a bet, that sounded actually more like a threat: if he had taken more than 1:33:00, he wouldn’t have found me at the finishing line. After 1:31:50 Mr Run was there.